You may have noticed that no matter how good or bad a protein bar is, the overall ratings on different websites are usually very good, even outstanding a lot of times. The less people reviewed and rated the bars, the better the results. Obviously protein bar manufacturers need to move a lot of bars to stay in business and therefore put a lot of effort in marketing their products. One easy and inexpensive way to promote their bars is to take advantage of many independant websites that offer their users to rate products. That’s why usually the first few comments have a perfect score and rave review (Best bar I’ve ever eaten, greatest flavor on earth). 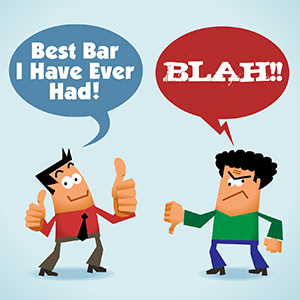 You’ll also notice that whenever real consumers share mediocre or even bad reviews, the manufacturers usually do damage control by adding more excellent reviews to save the overall rating for their bars. The other way some bar manufacturers try to get good reviews is by seeking out bloggers and review sites and send them boxes of free bars to try. You always give a bar a better rating when you’ve received free product. Fortunately most bloggers mention when they got free bars in their review, so that readers know why they only mention the positives. How do we rate protein bars? 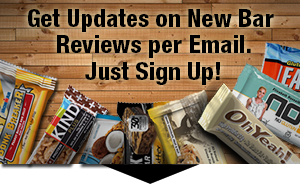 At Gluten Free Protein Bar Reviews we look at bar reviews from many different angles. We pull up ratings from different websites with lots of reviews (e.g. Amazon, GNC, Bodybuilding.com, etc.). We then take an average of the ratings per flavor and that’s how our star rating is calculated. The overall star rating is another average of the different sites that we looked at. However, we encourage you to to go not only by our star ratings, since manufacturers can influence that rating as explained above. Besides the star rating we also list an average user rating, that is based on comments and ratings on GlutenFreeProteinBarReviews.com. But that’s not all. The probably most interesting and sincere snapshot of consumer reviews is in our section “The Ratings” in every review. Here we looked into the details of many reviews and analyzed what buyers reported about their experience with special attention on the lower star ratings, because that’s where you can tell how good a bar really is. We know that it’s hard to please everybody in regards of taste, but the more consumers report the same thing, the better we can judge it. We encourage our readers to leave sincere reviews of the gluten free protein bars that are on our site to help others getting a better idea of the quality of each bar. While we have no control over bar manufacturers leaving rave reviews on our own site, we encourage you to pay close attention to “The Ratings” in each review.